On September 18, 1948, two men, Edward S. Brown, 29, of Dansville, N.Y., and Stephen E. Hyde, 40, of Wayland, N.Y., took off from Hornell, New York, in a trainer airplane on what was to be a navigational flight from Hornell, to Providence, Rhode Island, and back. After arriving at Providence, they were heading back to New York when they encountered heavy thunderstorms over the Groton, Connecticut, area. Witnesses reported that the aircraft circled the area at an altitude of about 500 feet before suddenly loosing power and crashing into the front yard of 37 Grand Street in the city’s Groton (Navy) Heights section. Brown and Hyde were killed instantly when the plane exploded on impact. Playing in the yard at the time were 4-year-old Gerald D’Aquilla, and 13-year-old Valerie Maltby. Just before the crash, Gerald’s mother Emily D’Aquilla, 27, hearing the plane circling overhead, came outside the house fearing for the children. Just as she did so the plane exploded, dousing her with flaming gasoline. The force of the explosion blew Gerald into the next yard, but fortunately he only suffered minor injuries. Valerie Maltby was relatively unhurt, but Mrs. D’Aquilla suffered severe burns and was rushed to a nearby hospital. Her husband, Nicholas, D’Aquilla, a navy serviceman assigned to the submarine base in Groton, was also burned when he came to the aid of his wife and put out the flames. 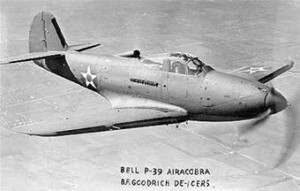 The aircraft involved was reported to be a BT-13, a former U.S. Army trainer plane. The accident was investigated by the Connecticut State Police. On July 16, 1921, pilot Wesley L. Keough of Springfield, Massachusetts, and George Phillips of Providence, Rhode Island, left Westerly, Rhode Island, in a two passenger Curtis aircraft bound for Niantic, Connecticut. Keough had been at Pleasant View Beach in Westerly for the previous few weeks giving rides in his airplane. On this particular flight, Keough and Phillips were flying to Niantic where the “Governor’s Foot Guard” were encamped. As the plane neared Niantic at an altitude of 2,500 feet, a connecting rod in the engine suddenly broke and the engine came to a stop. Keough was an experienced flyer and calmly put the aircraft into a glide hoping to land in an open area on the campground, but as it neared the ground it struck an air pocket and began to fall. Keough shouted to Phillips to jump, and both did so as the plane was reportedly barely twenty feet from the ground. Both men hit the ground and began tumbling and rolling, but when they came to a stop they discovered they were relatively unhurt. The plane continued on and slammed into a trolley pole at Station #8 and came to rest on the tracks, with its wings crumpled and its landing gear wrecked. Hartford-Brainard Airport is a small airport south of downtown Hartford, and should not be confused with Bradley International Airport, which is in Windsor Locks. Brainard Airport was established in 1921 because of a tragic accident which took the lives of two naval officers. On October 2, 1920, the two officers, (Pilot) Lt. Arthur C. Wagner, and Lt. Commander William Merrill Corry, Jr., flew from Mineola, N.Y. and landed in an open area of the Hartford Club golf course because in 1920 airfields were few and far between. They had come to Connecticut to meet with other military personnel. Late in the afternoon they attempted to take off and return to New York, but as the plane began to rise the engine suddenly lost power and they crashed into a grove of trees. Almost immediately the plane burst into flame. Lt. Wagner was pinned in the wreckage, but Lt. Cmdr. Corry had been thrown clear. Yet despite his injuries, Corry returned to the flaming wreck and tried to rescue the pilot. Two civilians who’d witnessed the crash, Walter E. Batterson, and Martin Keane, ran to his assistance, and together they pulled Wagner free and carried him a safe distance away. Lt. Wagner was transported to an area hospital and died of his injuries later that night. Lt. Cmdr. Corry was also badly burned in the rescue attempt, and died four days later on October 6th. Both civilians also suffered burns, but they recovered. For his efforts, Corry was awarded the Medal of Honor (Posthumously). Corry Airfield in Florida was later named in his honor in 1923. Three U.S. Navy destroyers were also named in his honor, one in 1921, the next in 1941, and the third in 1945. Due to this horrific accident, Brainard Airport was established to provide aviators with a safe place to land and take off, without having to look for random open spaces to set down. The airport was named for Mayor Newton C. Brainard. Lt. Cmdr. Corry is buried in Eastern Cemetery in Quincy, Florida. He was born October 5, 1889, and died just one day after his 31st birthday. To see a photo of Lt. Cmdr. Corry and his grave, go to www.findagrave.com and see memorial #7134215. Wikipedia – Lt. Cmdr. William Merrill Cory, Jr. Filed Under: Connecticut - Military Tagged With: Brainard Airport History, Connecticut Aeronautical History, Connecticut Aviation History, Connecticut Military History, Connecticut Military Plane Crash, Hartford Connecticut History, Hartford Gold Club History, Hartford Golf Club Plane Crash, Historic Connecticut Plane Crash, Lt. Arthur C. Wagner, Lt. Cmdr. William Merrill Corry Jr. Shortly before 10:30 a.m. on the morning of March 26, 1942, 2nd Lt. Edward G. Armstrong was flying a P-39 single-seat fighter aircraft (Ser. No. 40-36) on a training flight over the Stratford, Connecticut, area in which he was going through aerobatic maneuvers with the aircraft. According to witnesses, the aircraft’s engine suddenly quit while at 500 feet, and the plane went into a spin from which it did not recover. It crashed in St. Michael’s Cemetery, only a few feet from Bruce Brook, which boarders one side of the cemetery. There was no fire, but the plane was demolished, and Lt. Armstrong was killed instantly. The cemetery is located at 2205 Stratford Ave., in Stratford. It is surrounded by a densely populated area, and it’s possible that Lt. Armstrong remained with his aircraft to avoid having it crash into nearby homes. Lt. Armstrong was assigned to the 61st Pursuit Squadron in Bridgeport, Ct. He received his pilots rating December 12, 1941. On Thursday, May 29, 1919, a flight of three army aircraft from Hazelhurst Field on Long Island, New York, arrived at the town of Winsted, Connecticut, and landed safely at a former horse trotting park on Pratt Hill. The following day, as the first plane was taking off, it crashed into a wooded area at the end of the park. The unidentified pilot and his mechanic weren’t injured, and the plane wasn’t too badly damaged, and once it was hauled from the woods it was considered reparable. The accident was blamed on soft, rough, terrain, causing a reduction in speed at take off. All three aircraft and crews remained in Winsted until Saturday morning, May 31st. On that day, the damaged/repaired aircraft took off for Meridian, Connecticut, while the other two left for New Haven arriving later in the day. The following day was Sunday, June 1, 1919. Both aircraft took off from New Haven, and as they were making a spiral descent towards Yale Filed they collided in mid-air. The army board of inquiry failed to find fault with either pilot involved in the collision. The burial place of Joseph Katzman is unknown. On the afternoon of July 29, 1911, well known Connecticut aviator Nels J. Nelson of New Britain, Conn., was giving a flying exhibition at what was called by the press at the time the “State Insane Hospital” in Middletown. Roughly 2,000 spectators sat on the lawn of the grounds to watch the show. At one point Nelson came in for a landing and struck a telephone wire which caused the plane to turn sideways and crash. The aircraft was wrecked, and although Nelson was pitched to the ground, he was not seriously injured. It was noted by the press that this “flight was the first one ever held in this county”, meaning Middlesex County, Connecticut. Mr. Nelson would also survive another aircraft accident at Rocky Point, Rhode Island, on July 4, 1913, when a hydro-plane he was flying crashed in the water. For further details, look under “Civil Aviation Accidents” – “Rhode Island” on this website. Mr. Nelson died in 1964. On July 12, 1910, famous Connecticut aviator, Gustave Whitehead, flew his monoplane into the side of a bridge in Bridgeport. The impact from the crash threw him out of the aircraft and knocked him unconscious. The aircraft was wrecked. No further details were given.